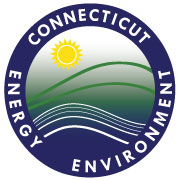 Includes species accounts for all of Connecticut's 117 species. Illustrates with maps the historic and recent distributions of butterflies in Connecticut. Provides information on life cycles and hostplants. Includes chapters on the history of butterfly study in Connecticut, butterfly conservation and project methods. Provides a list of butterfly viewing hot spots in Connecticut. Captures the beauty of butterflies with images and descriptions of eggs, caterpillars, chrysalids and adults.